Campus and Associated Groups Contact Details. 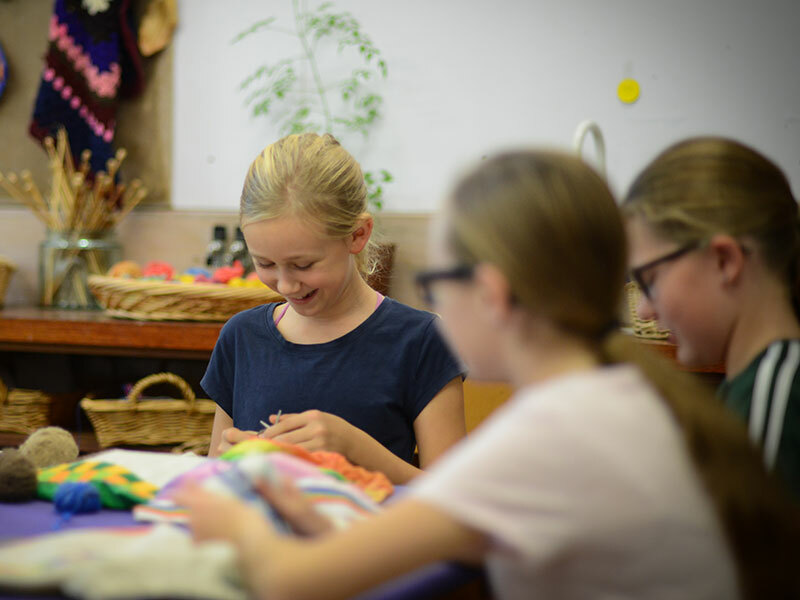 Rudolf Steiner was above all insistent that the Waldorf school pupils should be able to play a full part in the civilisation of their time, and all subjects that are necessary in other schools have their place in a Waldorf school. It is the manner of presenting these subjects that is different. The pupils should be led to feel the living spirit which pervades the world and which humankind seek to find in all their striving after knowledge. The different subjects should not appear as separated fragments, but as different aspects of a unified world being. The Waldorf Curriculum originates from indications given by Rudolf Steiner to the teachers of the first Waldorf School in Germany in 1919. 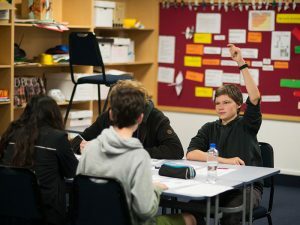 Teachers working within these indications interpret them according to the needs and disposition of their class, and for children living in Hawke’s Bay, New Zealand, today. The curriculum is not, nor ever was intended to be fixed and unalterable. Instead it relies on each teacher’s curriculum knowledge, teaching skill, creative faculties, love and understanding of the children. For the teacher, the curriculum is a vehicle for each child to reach his/her fullest potential development. 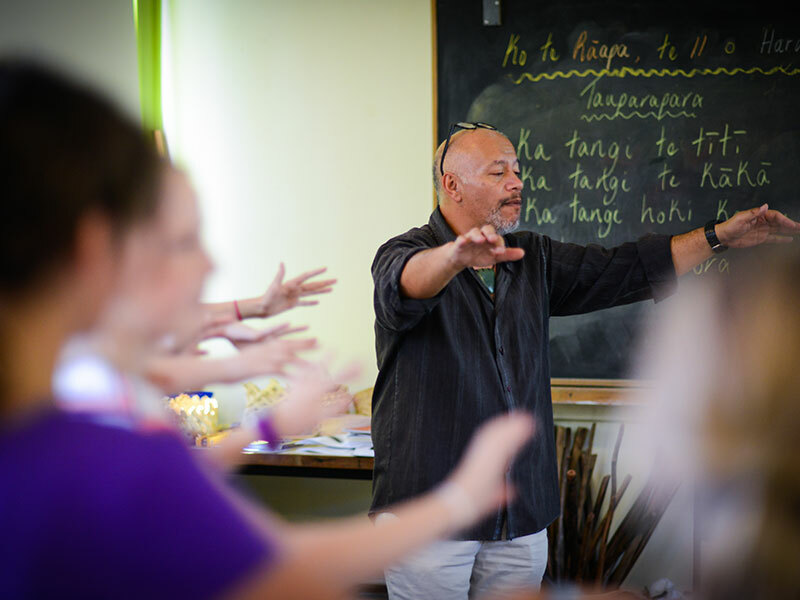 Taikura Rudolf Steiner School is strongly committed to upholding and honouring the principles of Te Tiriti o Waitangi and we celebrate the cultural richness and diversity in Aotearoa. 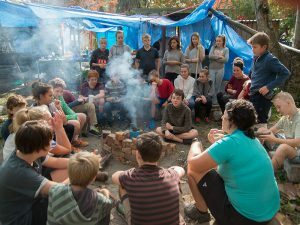 Steiner/Waldorf schools are responsive to the wider cultural, social and political contexts in which they are located in Aotearoa New Zealand in the 21st Century. Our schools embrace and honour Aotearoa New Zealand’s bi-cultural heritage and consider all human beings to be free and equal in dignity and right. While acknowledging Rudolf Steiner’s work, the Federation of Steiner / Waldorf Schools in Aotearoa New Zealand works out of an approach of equity and strongly rejects any historical statements from which inferences of racial prejudice may be made. Steiner/Waldorf schools and teacher training centres are cultural safe havens for all. Education is an art, and out of the interplay of personality between the teacher and class, knowledge is forever rediscovered. While fundamentally the development of the child follows certain definite trends, in every region and in every school, teachers must find the way of approach fitted to the requirements and dispositions of their particular groups of children. Rudolf Steiner gave indications of the best approach to the main subjects taught in schools, and these were developed further by various teachers from their own personal experience. None of them would regard this curriculum as in any way final. 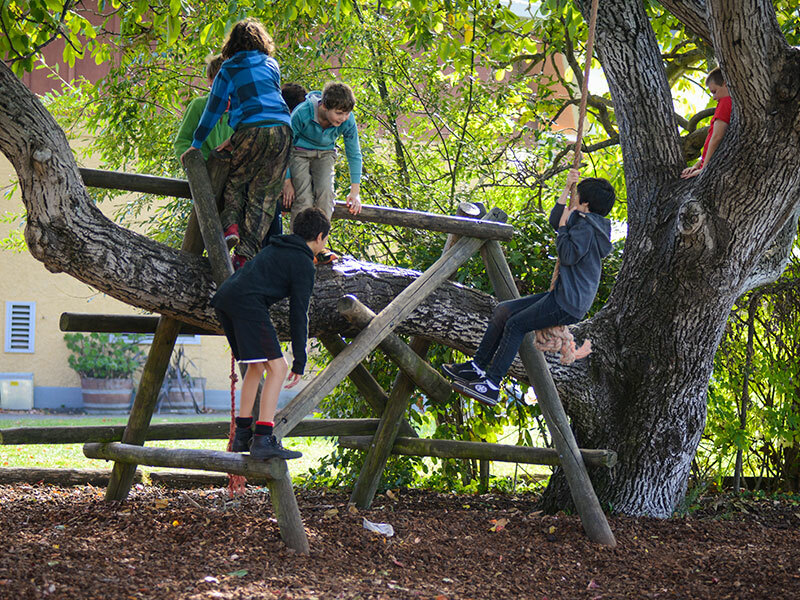 It is important that we stay conscious of the aim of the work in a Waldorf school as a whole. There is no intention of presenting a sum total of world knowledge; of far greater importance are the powers of perception and judgement that are awakened within the pupils. We must take into account the balance between those subjects that primarily call forth the activity of thinking, those which give expression and form to the life of feeling, and those which demand practical ability and strengthen and develop the will. Above all we have to guide every student in the development of these soul forces so that, as they reach adult life, they become true masters of themselves, truly free human beings. In the first years of a child’s life, it is the task of the teacher to link together all the different subjects. So that the ‘world picture’ which the teacher forms for the children may be consistently developed, it is the ideal that the teacher and pupils stay together for the first seven years of school. In this way a real confidence and understanding develops between teacher and pupils, and from these spring up the authority and true discipline which children of this age require. In the Waldorf Curriculum, the main subjects are taught consecutively for several weeks. The first two hours every morning for a period of three to four weeks are given over to a lesson which, depending on the child’s age, is appropriate to teach. In this way the pupils are able to live deeply into a subject; all their interest can become absorbed. Then the subject is left and another taken up. This living into deeply, then leaving, creates a balance between remembering and forgetting; after a period of rest the memory of what they learned can be re‑awakened strongly. However, it is important to note that skills gained in the Main Lesson are exercised in practise lessons throughout the school year. It is impossible to follow the Waldorf Curriculum in a theoretic or dogmatic way. The first essential for all educators is self‑education, and no one is capable of working with children, who does not love them and learns to read their being. Ideally, the child will have their seventh birthday sometime before October of this Class One year. Years of experience show that boys benefit from being a little older ‑ the ideal for them is turning seven around the middle of the year. The developmental aspect may be referred to as ‘Dreaming and Earthing’. Not yet fully aware of themselves as separate individualities, or that others are separate and unique individuals, the child relates to the world as it affects them. Their immediate response will come from their own sense of comfort or discomfort – ease or unease. The seven‑year‑old wishes to know that the word is beautiful, that the adults know what is right and good and will look after their needs. Children of this age can love easily and will wish to please those they love. Learning to become social, to ‘do’ with others, to experience themselves as part of a group, to take turns and to respect others’ needs and abilities. To look into their immediate environment and, through imaginative pictures, begin to develop a respect for, and understanding of, the world of nature. Through the imagination to make a feeling connection with the more abstract concepts that accompany our daily lives – beginning with writing, early reading skills and number recognition and computation. Fairy Tales are pre‑earth history, human psychology, human development and a bridge between heaven and earth. All lessons are linked with these stories and the children are encouraged to live and learn imaginatively. The children will be turning eight years old during this year. Their development is moving towards self identity and encompasses a growing awareness of others as different identities with their own needs and abilities. The world as it affects them is still the basis of the children’s primary social response. The eight year olds are now in the final stages of imitation; they will still be influenced by others actions however and adults must continue to be worthy role‑models and to set the standards for all social interactions. The will is still predominant and the healthy eight‑year‑old will wish to act out all experiences. The children wish to please those they love and to know the world as a good and beautiful place and they implicitly trust that adults know what is right and good for them. To deepen awareness of their own needs and abilities and those of others. To integrate the children’s movement between heaven and earth, to allow them opportunities to heighten their understanding of themselves and others and to inspire them to look towards, and experience a feeling for, their higher purpose. We must also continue to encourage the children’s sense for the beauty of the world, and their reverence for all life. The first three school years have a similar character due to the nature of the child between the ages of six and nine. The contents of the first school year should be continued and deepened, encouraging the students to find their way into a living relationship with each subject. Class 3: I Am, Who Are You? The children will turn nine in this year, and the developmental stage known as the ‘nine‑year‑old crisis’ occurs around this time. The children find they are now ‘on the earth’, there is a perception of individuality and ‘aloneness’, and they no longer experience themselves as one with the world. The children will question those things that previously went unquestioned: “Who are you to tell me?”, “What is my real name?”, “Am I adopted?” They will push boundaries, venture forth fearlessly when you wish they wouldn’t and shrivel up fearfully where once they were confident. With the ninth year there comes an important stage in the development of the growing child, and this should be carefully watched and considered in teaching and education. It is the age when the child first really feels separate from the surroundings, which formerly were taken so much for granted. Self-consciousness becomes noticeably stronger and the soul‑life more inward and independent. All the child’s powers of consciousness stir to life, and a wish to learn to know both teacher and world from a new angle. The nine‑year‑old wants to revere consciously what was formerly loved in a childlike way, but needs to feel that reverence is justified. This age makes great claims on the wisdom and tact of the teacher. The children need to be protected from a feeling of disappointment with themselves or the world, which they can so easily fall into at this age, especially in the presence of world‑weary or cynical adults. The Expulsion from Paradise mirrors the soul feeling of the nine-year-olds who now experience themselves as truly on the earth; heaven is lost to them and who will care for them? Just as Jehovah watched over and guided the Hebrews, so the adults around the children must reassure them that they know what is right and good and will show them the way. 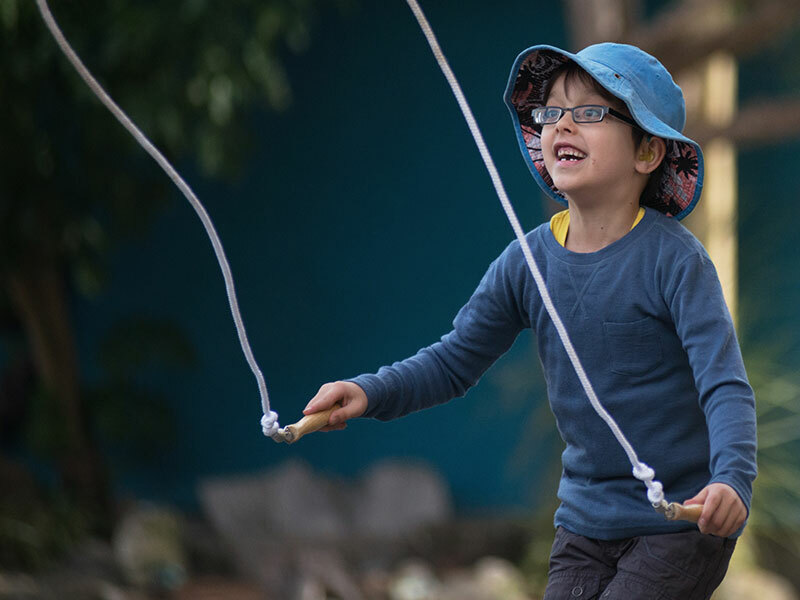 As the children now experience their bodies as ‘the house of my soul’, supporting lessons in the curriculum include ‘House‑Building’ which investigates the history and technology of house building and especially the different people, tasks and crafts involved in providing a home. ‘Farming and Gardening’ teaches the wonder and history of growing food and caring for the soil and the body. Finally, in ‘People at Work’ the children experience the many different ways in which we all support each other with our particular contribution to society. Class 4: Who I Am, Where I Am? The children turning ten experience a veiling of the connection with the spiritual world; they stand truly on the earth and are learning to walk in its ways. Experiencing themselves as separate from their surroundings, self‑consciousness becomes stronger and the soul life becomes more inward. There grows a soul‑wish to know and love the world consciously, yet this will be tested: is it justified that I revere this occurrence; that person; this phenomena? To lead the students to discover themselves in time and place, and to an appreciation of the wonder of their world and how they arrived in it; to allow them an experience of consequences through story and to strengthen their social awareness. The Norse Myths are full of wonderful personalities and stories that children of this age can relate to. Of paramount importance is the figure of Loki, who grows from naive mischief-maker to bearer of conscious ill‑will and who eventually brings about the battle of Ragnarok, which marks the final departure of the Gods from the immediate sphere of human‑kind. Other lessons which support this year’s soul-wish to know themselves in time and place include ‘The Magic of Numbers’ which allows the children to experience the wonder and mystery of number puzzles and games; ‘Local Geography’ and “Local History’ places them in time and space and gives a background to this. ‘Fractions’ in Maths and ‘The Tenses’ in English grammar allow them to investigate further their contribution in time and space. Children turning eleven years old can feel more at ease within themselves; the heart and lung ratio of 4:1 is attained and the keen observer can see that, for the normally developing child, the point of balance, the ‘crown of childhood’ is achieved. The students need to be led to a deeper picture of the world they live, in and an experience of the ‘balance’ of the world. To help the children attain the balance of body and soul that can come at this time as they stand strongly within themselves. 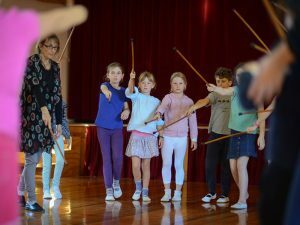 To encourage movement that demands strong form and rhythm and allows the students to experience full control over their bodies and allows individuals to experience a sense of control and balance inwardly. In searching for this sense of balance, the student can experience that the world has many facets, many points where the microcosm and macrocosm meet. Without labouring the point, they will be led again and again to the experience of causality where the soul may experience an awakening to its role in the social life. Having explored their immediate environment, we move them further back in time to study the ancient civilisations that contributed to the modern world. The students journey from myth and legend to recorded history. Ancient India is studied through The Ramayana or Bhagavad‑Gita; the life of Buddha may also be studied at this time; the stories of Gilgamesh and Eabani and Zarathustra may be told in brief before moving on through Ancient Egypt to Greece. The philosophers, poets and orators are met and often the story of Odysseus is told. The Greek epoch marks a time in the world’s evolution when human‑kind lived in balance between materialism and spirituality, the motto inscribed on the temple of Delphi ‘As within, so without’ reflects the ideal state of being for the Class Five student. The children turning twelve have arrived at the age of ‘consequences’. For the first time we can reason with them: “If you do this, then that will happen.” At this stage they can begin practising self‑control and begin to imagine into the outcomes of any deeds or behaviour. The students’ bodies are changing and, as these changes occur, they must work, albeit unconsciously, with them. They must learn how to live in their bodies in a new way. The movements of these twelve­-year‑olds begin to lose the natural rhythm and grace of the younger child; the point of balance, attained over the preceding year, appears to be lost They become ‘unskilled’; their growing bodies seem to be no longer in their control and can become awkward and clumsy. Just as they must learn to move in a new way, adjusting to the body’s new relationship to gravity, so the soul must also adjust to its changing abode. More than ever at this point in their development the young people must be given imaginative pictures and stories that speak to the higher aspects of their beings, they must be inspired and they must be protected from feelings of hopelessness or inadequacy. It is at this stage, when the soul connects itself more closely with the mechanism of the bony system, that we introduce the children to new scientific subjects. 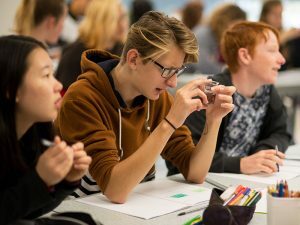 In the Physics Main Lesson, through observation and experiment, the students will investigate the mechanical laws that govern life and in the Geology Main Lesson, they will investigate the ‘bones’ of the earth. To follow world evolution and to allow the child to experience what it meant to be a citizen of Rome, at the height of its greatness. To be able to experience themselves as Romans: true, honest, fair and brave; to experience themselves as an honourable part of the community, holding the good of the state above all else. The founding of Rome, the expulsion of the last king and the founding of the Republic are studied through biographies of the great Romans who put the needs of the city-state before their own. The students can experience the Senate and the making of the laws and learn how our own systems of money, government and justice are descendants of this ancient time. Movement is especially important in this year and the opportunity to experience the movement of the Roman Army, marching to the breath and heart beat, should not be over looked. Exercises from the original Olympic Games can also continue to be worked with. Life in the Middle Ages follows the story of Rome. Amidst the hardship of daily life ran their stories of valour and truth; the remembered link with the spirit pervaded the great romances of the time. Class 7: What I Will Carry Into The World! and view the greater needs of the world as well as their own aspirations. The fourteenth year is a milestone year in the inner life of a young person. There is an increasing realisation – and assertion – of the individual sense of self, of the uniqueness of one’s own identity. After the breadth of exploration of the world, covered in Class 7, the Class 8 year is one of turning towards inwardness, even, at times, self-absorption. However, in this year, there is still a strong connection to, and care for, the outside world, and the curriculum exploits this in lessons such as environmental studies, the impact of the industrial revolution on humanity, and in responding to the biographies of others who cared. At this age, the concreteness of refining skills, meeting boundaries, and being able to articulate emotions are all important ways in which the young person can be supported to feel safe and interested in his or her own place in the world. To stimulate personal goal setting and a sense of responsibility for oneself. With adolescence, the inner soul forces of the young human being become extremely active, and with this there is a corresponding (and often disconcerting) bodily change. It is a bewildering world when the adolescent is often at the mercy of strong, uncontrolled feelings and emotions, which swing, like a pendulum, from one extreme to the other. This manifests differently in boys and girls; yet both mask their vulnerability in different ways. Boys may be uncouth and gawky, yet inwardly shy; girls may express their emotions more easily in volatile, temperamental behaviour. Both need careful and sensitive handling and since that emotional world is both extremely sensitive and volatile, one needs to channel this energy into a healthy relationship with the outer world. One approaches the adolescent of this age as much through the intellect as through the senses, presenting one’s material in as tactile a way as possible, yet always seeking to refine the senses through artistic activity, and challenging the student to think accurately, and observe meticulously. The student of this age needs many physical challenges to counteract the emotional roller-coaster. There is little scope for the finer nuances of feeling; everything is black or white, wonderful or abysmal, joyful or full of sorrow. It is truly a year of polarities and opposites, and all the Main Lessons in this year play on that this, whether it is “Tragedy and Comedy” in English, “The French Revolution” in history, “stability and instability” in geology. To awaken to the polarities of subject knowledge through both heart and will. Although the emotions are still powerful in the student of this age, there is a marked development towards greater control and balance. Students are much more social at this age, and far better able to work in groups. There is a marked difference in their perception of the world and their ability to comprehend and understand basic underlying laws and structures, both in themselves and in the world in general. They may still be argumentative (each, potentially, an Odysseus! ), but their greater reasoning power can more readily take hold and master the emotions. The love of a certain dramatic sensationalism of the previous year begins to recede; they wish to understand the phenomena they meet, both on an inner and outer level. The richness of the inner life is more easily able to express itself, allowing for greater subtlety in their response to language and to the world in general. They are more able to form deep and lasting relationships and friendships at this age, since the relationship of the self to others and to the outer world is more harmonious. There is now a striving towards the balance between polarities, whether in chemistry (Acids, Bases, and Salts; with salt as the mediator between acids and bases), the English lessons (Homer’s “Odyssey” and “The Art of Language” where words are seen as a balanced dynamic between the creative and the functional) or in history (the study of Ancient Cultures leading to the birth of the intellectual, reasoning power). 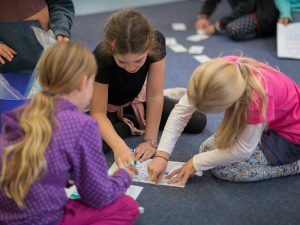 At this age, students are now able to harness and use the analytical, reasoning ability to full advantage. The intellect is no longer at the mercy of the inner feelings; students are able to employ a far greater objectivity with regard to themselves and the world. They are able to comprehend the laws of the outer world in minute detail – it is not for nothing that one of the key lessons of this year is Atomic Physics. In language studies, the analytical and manipulative power now matches the creative power, and they are able to argue the finer points of any point of view with scholastic delight! It is precisely at this point that students may experience inner loneliness and questions as regards their worth as human beings within the general scheme of things; it is at this point that they have questions concerning their own destinies. For this reason, the “Parzival” lesson in Philosophical studies is of great importance, for here students can explore those life questions which cannot simply be answered by the intellect. To explore the meaning of destiny: what have I got to offer the world? This year is the culmination of an education which seeks to produce individuals who will work with a sound understanding of both themselves and the world. It is in this last year that one hears all the “tones” of the preceding years sounding in harmony, where the young adults of this age are themselves as members of a greater world where the moral and the scientific, the inner and the outer, form a single whole. The lessons in this year form the grand synthesis of the whole education, with material which gives a broad overview and understanding of the whole curriculum in such things as “The History of Architecture”, and “The History of Philosophy”. The content of the subjects directs itself to the current world view in relation to that field of endeavour. The students stand firmly in the contemporary age, taking the best of the past into a future which is yet to unfold. It is here that one sees the fruits of a Waldorf education in young adults who stand courageously and with integrity as free individuals, secure within values which give meaning to life. The young person is taught from a broad-based curriculum in which all students participate. Besides traditional core subjects of English, Maths, Sciences, Social Sciences, the compulsory curriculum includes such subject areas as Art, Drama, Philosophy, First Aid, Music, Information Technology, History of Architecture, and others. In the Craft curriculum, the practical understanding of structures and materials is also brought into the woodwork, handwork, bookbinding and sculpture courses. Through their work as a team responsible for showing the inter-connection of subjects, the teachers aim to develop in their students a universal understanding, coupled with human values, in all disciplines. For this reason, specialisation is avoided so that all students take all subjects. In a conscious way the teachers seek to present the inter-relationship between subjects and their connection to the human being. It is therefore the teacher’s task to enable the students to build a bridge between their inner being and the outer world. Student progress is continuously evaluated and assessed, the emphasis being on the development and use of skills and understandings, rather than purely retention of knowledge. Personal development is seen as the main purpose of study and learning. Differences in academic capabilities of individual students are recognised by individual teaching programmes within lessons, and, in the senior classes, are also expressed as minimum standards in assessment activities, with graduated achievement descriptors above those. Reports are issued to parents twice a year. These are followed up by a Report Evening, which is an opportunity for parents to meet with individual teachers regarding their son or daughter’s progress. In Classes 10-12, the teaching programmes are expressed in terms of units of work which are each assessed to improve learning and teaching, and to report on achievement. 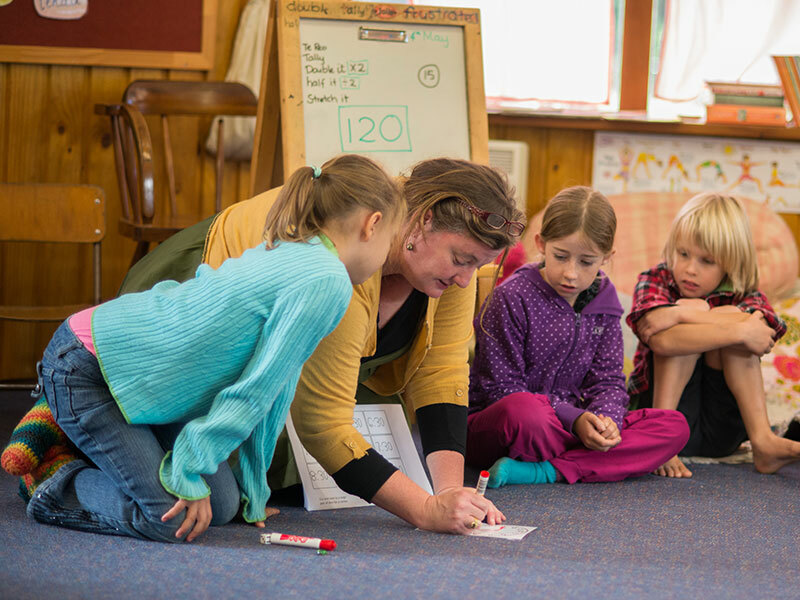 Each unit of work is assigned a level of credits, and these accumulate towards the award of the New Zealand Certificate of Steiner Education (NZCSE), which is awarded at three different levels, Levels 1-3 to correspond with the years. There is a separate handbook describing the organisation and requirements of the certificate. 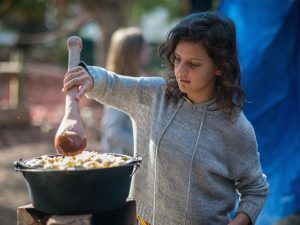 The Waldorf curriculum also places emphasis on sending its graduating Class 12 students off with a sense of self-worth and skills in self-directed learning. To this end, each Class 12 student undertakes a year-long self-chosen project, which requires a minimum 3000 word published thesis, a practical component, and a twenty-minute public presentation to the community. A separate handbook describes the Class 12 Project more fully. ‘Gateway’ is a work based programme for Classes 11 and 12 provided in conjunction with the Tertiary Education Commission. It is focused specifically for students who are not planning to go to university, but rather have a genuine interest in gaining apprenticeship type training in preparation for future career options. Working one day a week in the workplace, students have access to industry training mentors and apprenticeship providers whilst gaining credits toward national certificates. Whilst building skills for employment, ‘Gateway’ will assist the student into an apprenticeship, go on to further education or gain employment. For more information please contact the Careers Advisor. STAR is an established programme used by the school to meet the identified learning needs of senior students in Classes 9-12 that cannot be catered for in the school curriculum. Facilitate transition to the workplace for students intending to go straight into the workforce or likely to leave school without any formal qualifications. 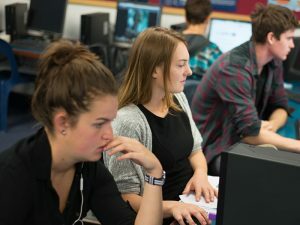 Provide or purchase tertiary-type courses will motivate them to achieve, and which will facilitate their smooth transition to further education, training or employment. 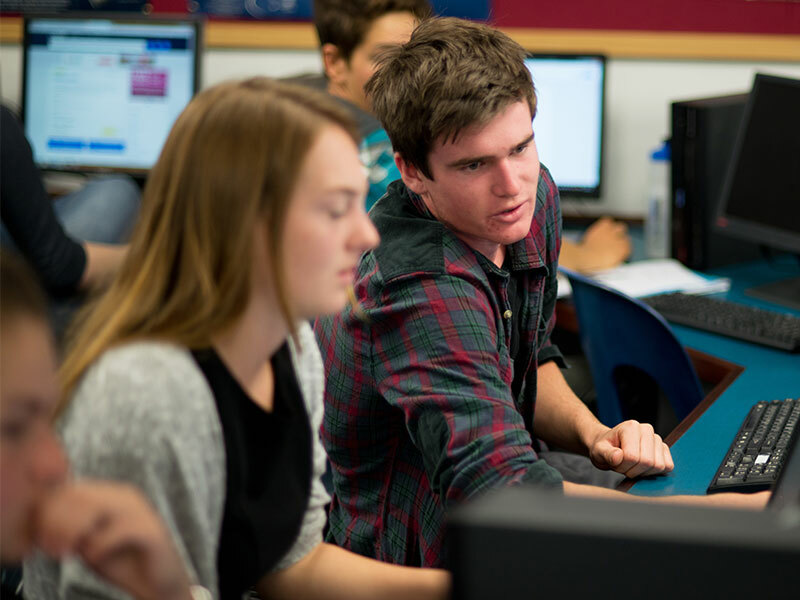 Support students to explore career pathways, and help them make informed decisions future work or study. It provides a chance to try out possible career choices and gain new skills that are appropriate to the workplace. The funding may be used to provide courses at school or with external providers and can lead to qualifications. It can allow students to experience a different learning environment and can provide practical ‘hands on” work-based experience. The Incubator Programme was introduced to School during 2009. 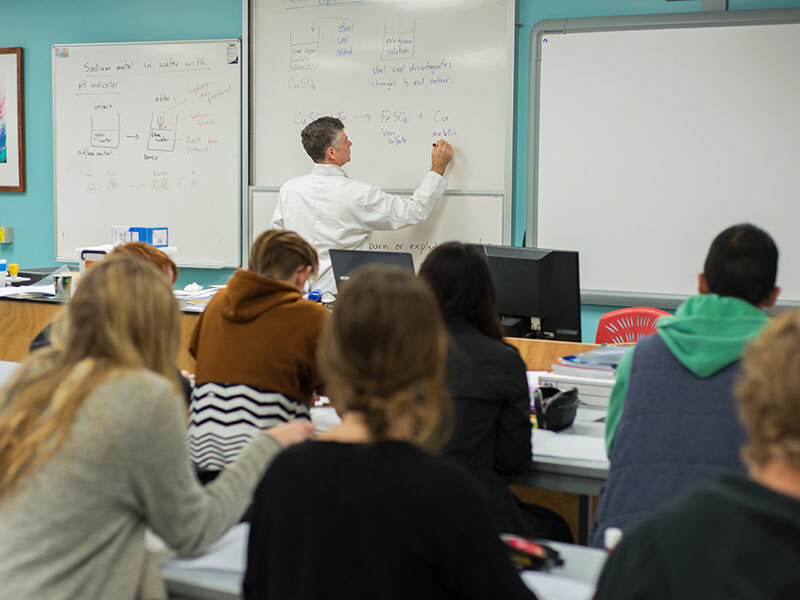 It is a Hawke’s Bay District Health Board initiative that aims to mentor and support students interested in careers in health by introducing them to career choices beyond Doctors and Nurses. ‘Incubator’ is delivered in 5 two hour sessions over a period of 1 year. This is achieved by providing examples of career pathways within the health sector in a blended style, engaging modern learning methods and mentoring techniques through the use of stories, personal experiences and interactive sessions. ‘Incubator’ consists of a mix of school based visits by health professionals and health sector experiential visits by school students. There has been a high transfer rate into tertiary studies. After students leave School, it is hoped that mentoring will continue through their tertiary studies, eventually leading to work placements in the health sector. The Grapevine is produced weekly during term time only, with the first publication for each term being in week one. © 2018 Taikura Rudolf Steiner School. Site by Quest.